Do you dread Spring cleaning? Join the club. I'm not a fan of cleaning, but I do like organizing. 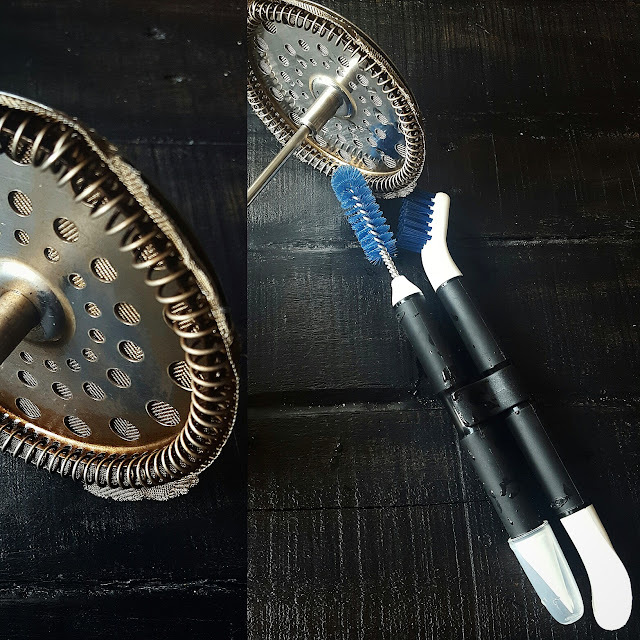 Thanks to 3 products from OXO, cleaning and organizing your kitchen, and your home in general, can be less painful and even a bit of fun. First up, 10-Piece POP Container Set. This is my second set. I fell in love with these containers a few years ago and have purchased additional individual containers to store everything from panko crumbs to brown sugar. POP Containers: Stackable and space-efficient, POP Containers are designed for modular use, so you can organize in any number of height combinations to fit your countertop and pantry. Push-button mechanism creates an airtight seal with just one touch. Corners are shaped for pouring. 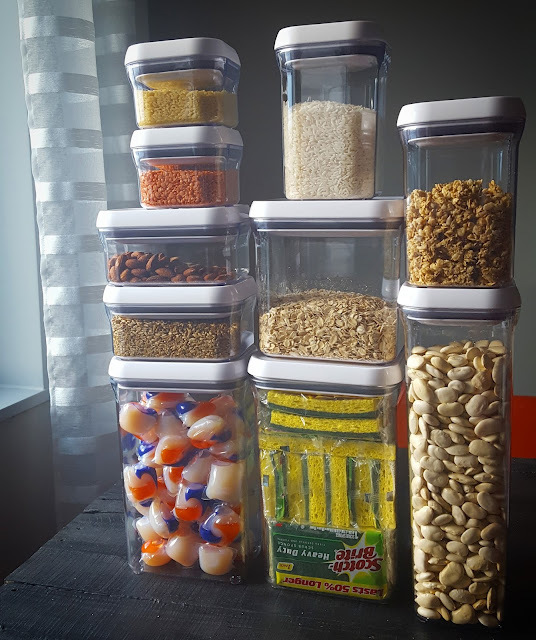 I've used this set to streamline my pantry cabinet and also store a few cleaning items such as dish sponges and laundry detergent thingies. One of the things I like the most about this set is how versatile it is. 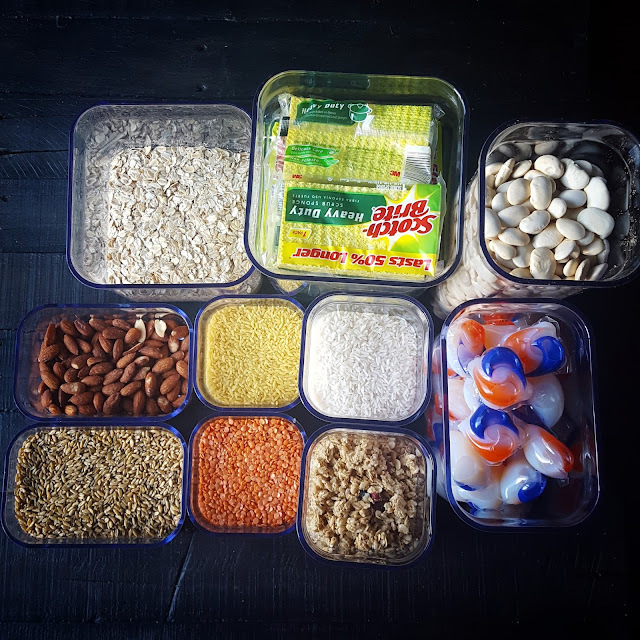 You don't have to use any particular container for a specific ingredient. Finish eating all those almonds? 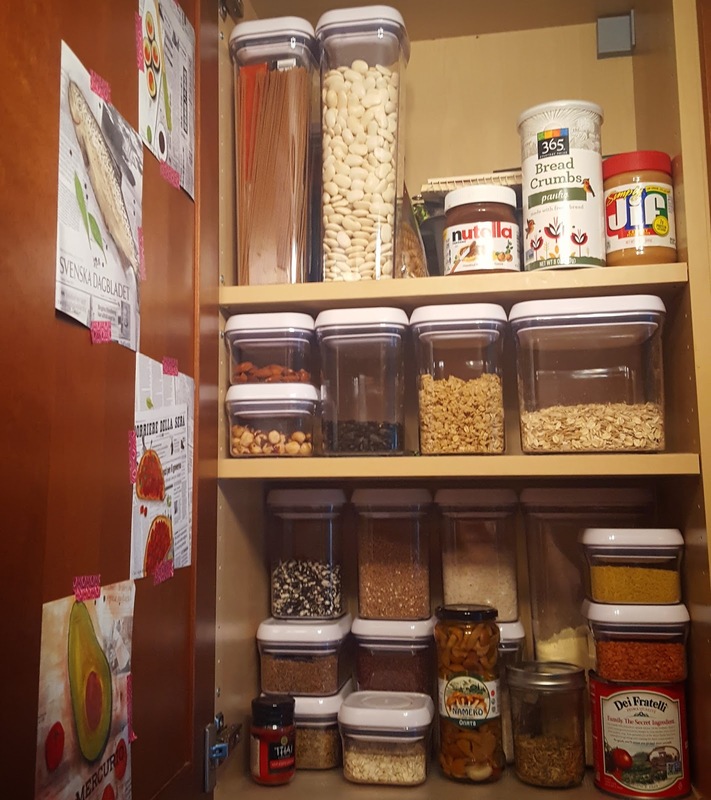 Refill the container with pistachios or sunflower seeds. You get to mix and match and rearrange to your heart's desire. You can see everything you have and know when it's time to refill your staples. Moving on. I make coffee in my French Press almost daily but really hate cleaning the metal parts. I usually rinse them and hope for the best. Boy, did I see the difference in cleanliness once I used Kitchen Appliance Cleaning Set. You can see how much cleaner the photo on the right is. Kitchen Appliance Cleaning Set: This versatile, compact Kitchen Appliance Cleaning Set features durable nylon brushes and scrapers that can get into your kitchen fixtures and appliances' tight spaces and get unsightly buildup out of them. Tools snap together into clip for storage. And finally Microfiber Under Appliance Duster. One of the only cleaning tasks I don't mind is vacuuming. I vacuum everything from the rug in my bedroom to hardwood floors throughout my living room and dining room to tiled floors in my bathroom and kitchen. But I've never really thought about all the gross mess that is underneath the refrigerator and oven: you can't really get to that mess with a vacuum cleaner, but you can with this skinny long duster! Luckily I did not find any dead bugs. 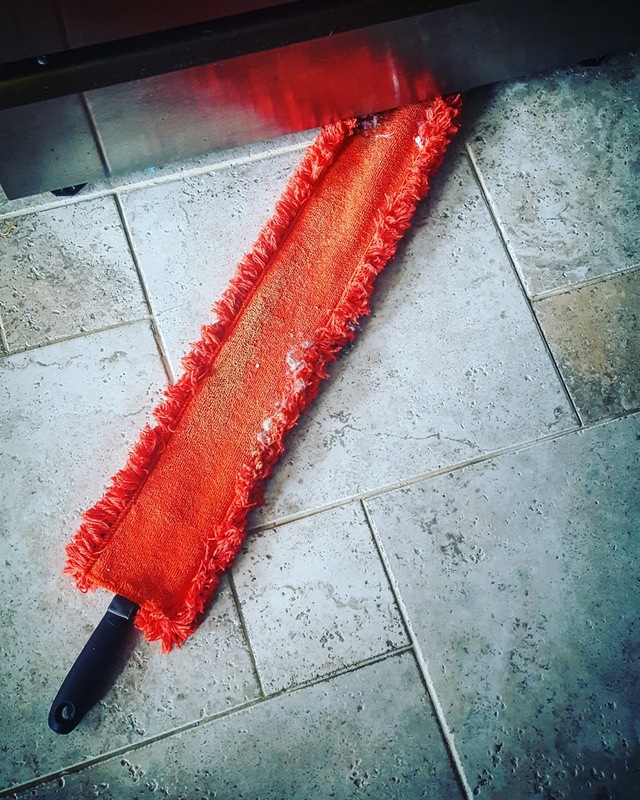 Microfiber Under Appliance Duster: Our Slim Duster features a long, flat profile to go where other dusters don't: around and underneath appliances and cabinets. The long, fluffy fibers conform to uneven surfaces to capture dust bunnies. To clean the head, simply unsnap it and wash in cold water, then dry without heat. So there you go: 3 tools to organize and clean your home. Go get that Spring cleaning done!